It is really cold here today which made me realize we are not ready for the winter months! Old Navy is having a huge sale this weekend on outerwear and sweaters! Perfect timing. 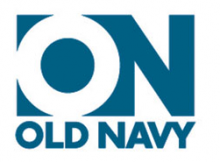 Today from 12pm-5pm, head into your local Old Navy where all adult outerwear will be 75% off! On Sunday, adult sweaters will be 75% off. Sale items not included in this deal. You can however go to Facebook and print a $5 off $25 or more coupon to use with this promo. Gap is having a one day sale today! Get 40% off your entire purchase when you spend $100 or more. This 40% is also applied to sale items. In stores only, no coupon required. Offers Dec 11, 2010 in clothing, Gap, sale · Expired! In case you didn’t see the Friends and Family post from earlier this week, you can view it here. In addition to those great deals, here are several more coupon offers for this weekend. Coupons Mar 19, 2010 in retail, sale · Expired! With both Valentine’s Day and President’s Day in the same weekend there are bound to be sales going on. Here is a list of sales for this weekend. Make sure you print your coupons before you head out! If you know of any other deals, let us know! Martin + Osa: 20% off your entire purchase plus free shipping with online code 34197998 or in-stores with this coupon. Click here for a store near you. Offers Feb 13, 2010 in sale · Expired! There are a ton of sales and discounted items this weekend. Here is a list of a few of the sales on-line and in stores. Take an additional 30% off clearance items at American Eagle. This sale is good now through January 19th. Discount automatically applied at check out. If you have another AE coupon or offer you can use that too! What a deal. Offers Jan 14, 2010 in clothing, sale · Expired! Coldwater Creek is having an amazing winter sale, 60% off sitewide! This sale is available online until January 4th. Just use offer code WHH9115 when you checkout and the additional 60% will be applied. Offers Jan 2, 2010 in clothing, sale · Expired!